Korean Wave star Bae Yong-jun has been named honorary curator of Iwayama Lacquer Art Museum in Japan. The museum is operated by Korean lacquer artist Jun Yong-bok, who has gained worldwide recognition, and is the largest of its kind in the world. Bae’s agency, BOF, says the actor is currently writing a book on Korean culture and that he visited Japan secretly in February to learn lacquer art from Master Jun. “Bae Yong-jun learned the entire lacquer painting process firsthand, and as the honorary curator of the museum is determined to publicize lacquer art and hone his skills as well as bring lacquer art closer to the public,” said the agency. Bae is currently voice-acting in the anime version of the TV drama “Winter Sonata” along with actress Choi Ji-woo, and will publish a book later this year. posted by style on byjgallery. Thanks for all the new pictures style! I love these gorgeous pics of byj and I missed them all after many months i haven’t posts some good pics here. 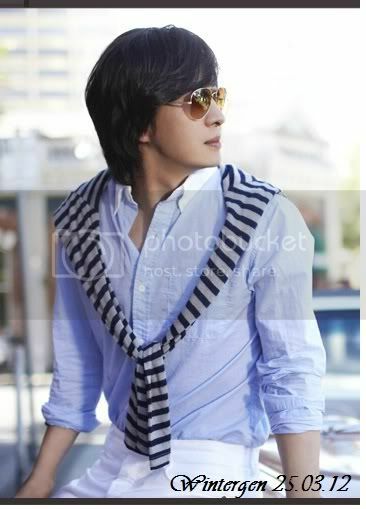 Hope you’ll like it and to all fans of Byj who visited my page, I will try to be updated about our prince BYJ.